Papaya is known for its effective working to get a glowing and younger looking skin. I though why don’t we take advantage of it, immediately I decided to write a review on how papayas pack will help you to rejuvenate your skin. 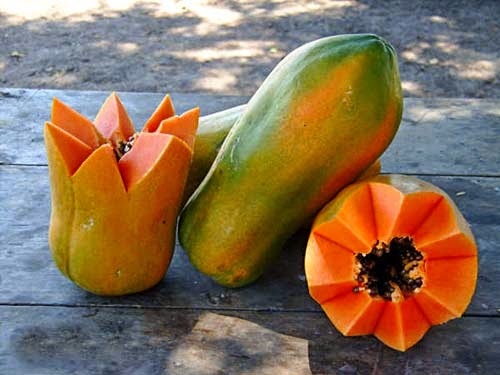 Papaya, also called the ‘fruit of the angels’, is rich in vit. A, C and E, and also has antioxidant properties. It moisturizes your skin, keeps it soft and supple, and removes acne, blemishes and dark spots. It also contains alpha hydroxy acids that herbally exfoliate the skin and help to maintain younger looking skin, The enzyme papain in papaya is also beneficial for removing dead skin cells. 3. Blend it again to get smooth paste. Your pack is ready. Use it once in a week to fight all signs of ageing.